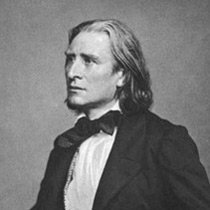 Franz Liszt was an astonishing piano virtuoso and an extraordinary man. He was a charismatic piano performer, a generous philanthropist, and composed beautiful music. Liszt transformed how the piano was seen by audiences. It went from an instrument which was not really regarded as that important, to a powerful and complex orchestral machine, capable of painting thousands of emotions. Liszt was born in Hungary in 1811. He started learning piano at age 7, and grew up in Vienna (where he was taught by Carl Czerny) and Paris. He was trilingual in French, German, and Italian, but wasn't very good at Hungarian though, which embarrassed him! He was ridiculously good at piano when he was young. His hands were sometimes too small to play big chords on the keyboard though - so he'd make up by playing the missing note with his nose! After hearing a performance by the violin wizard Paganini (in 1832), Franz Liszt resolved to become a great piano virtuoso. So he did what it took - he practiced technical piano exercises for 10-12 hours a day! I don't think I'd have the patience to do that, but I'm certainly glad Franz Liszt did. His complete mastery of piano technique allowed him to write superhuman pieces of music. His skill and fame peaked in the 1840s, when he toured all over Europe. From Russia to Portugal, he performed for kings, emperors, and everyone underneath. He was showered with gifts and adoration. Hungary gave him a jewel-encrusted Sword of Honor in a magnificent ceremony. Wow! He became immensely famous (a craze called "Lisztomania"!) and wealthy, although he gave away a lot of his money to good causes. Liszt met Princess Carolyne zu Sayn-Wittgenstein during a concert in Kiev, and the two formed a strong relationship. She wanted him to focus more on composing, so Liszt gave up the stage and stopped performing. A crazy thing to do, since he was still at the height of his piano powers. Still, I suppose it helps to immortalize his playing. Plus, we wouldn't have all of Liszt's beautiful compositions if he had kept on touring! During the later part of his life Franz Liszt lived in Rome and received orders from the Catholic Church. He regularly traveled between Rome, Weimar, and Budapest, giving piano masterclasses and free lessons. He died of pneumonia in Bayreuth in July 1886, aged 74. Liszt is also the inventor of the tone poem, (also known as symphonic poem), which is basically a long orchestral piece connected in some way with something non-musical (a painting, a poem, a time in history). Liszt wrote 13 symphonic poems altogether. The most popular is Les Preludes, a beautiful free-flowing piece. Christus, S.3. A oratorio depicting the entire life of Christ. Liszt wrote this when he was in his religious phase. Faust Symphony in three character pictures, S.108. Liszt's amazing symphonic version of the Faust legend. It has three movements, each depicting a character from the story. Dante Symphony, S.109. Liszt's orchestral version of Dante Alighieri's famous Divine Comedy. It has powerful depictions of Hell and Purgatory. Liszt wanted to write a movement for Paradise too, but Wagner convinced him that no composer could illustrate Paradise in music. Piano Concerto No. 1, S.124. 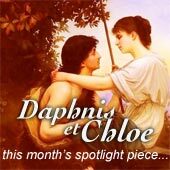 The first of the composer's two Piano Concertos. It is extremely Lisztian, featuring loads of ridiculously flashy piano tricks and a recurring theme which ties the whole piece together. The light-hearted and cheeky third movement, which uses the triangle in a very unique way. Transcendental Etudes, S.139. Some of the most difficult piano music Franz Liszt ever wrote. They're sophisticated and philosophical pieces, which I think really deserve the title "Transcendental"! Annees de Pelinerage (Years of Pilgrimage), S.160, S.161, S.162. Liszt travelled a lot in his life, and these three sets of masterpieces (put together under one title) are the result of his inspiration on these journeys. Sonata in B Minor, S.178. Liszt's grand masterpiece, and (I think) one of the greatest piano works ever written. It's a supremely complex and moving work, a spectacular showcase of what is possible on the piano. Hungarian Rhapsodies, S.244. 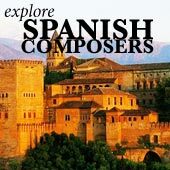 A set of 19 free-flowing and popular pieces, which were inspired by Hungarian gypsy music. Mephisto Waltz No. 1, S.514. An extremely popular piece, which depicts an anecdote from the Faust legend. Liszt uses clever piano effects to illustrate parts of the story, such as imitating a violin tuning up before the devil Mephisto plays a fast and dizzying dance melody. Liebestraum (Dreams of Love) No. 3, S.541. Originally a song, the solo piano transcription is very popular. This is a simple poem about love, and Liszt uses a very tender melody and warm harmonies to portray the sentimental feelings. Liszt's Consolations, short piano pieces bursting with Romantic beauty and color. The popular tone poem Les Preludes. What's it about? The Faust Symphony in three character pictures, a fantastic musical re-telling of the famous German legend. The Dante Symphony, Liszt's most ferocious orchestral work, inspired by Dante's Inferno. The Mephisto Waltz No 1, also inspired by the Faust legend, this is one of Liszt's most popular show pieces! Liszt's Hungarian Rhapsodies, an epic collection of virtuoso piano pieces celebrating Liszt's Hungarian heritage. Liszt's Sonata in B Minor, a supreme masterpiece and undoubtedly Liszt's single greatest piano work. The god-like Transcendental Etudes, supreme tests of technical skill and interpretative creativity. 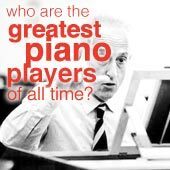 At one point only a handful of pianists in the entire world were capable of playing them. The diabolical Totentanz, or Dance of Death, a terrifying piece for piano and orchestra.